The development of the Engine requires the mastery of a large vocabulary of movements. Hence, it is paramount that the coach enforces the training of athletic qualities in the Padua gym. · Strength Development – wrestling, max strength, technical proficiency, power and elastic strength. · Functional Development – shoulder/thoracic, hip/ankle, trunk integrity and strength. · Running development – COD, Vmax, acceleration, aerobic and anaerobic. The primary focus of the program is to optimise structural integrity, optimise speed, force stabilisation, force reduction and force production. Athlete focus…not sport focused…enhance the athlete’s movement potential. Children aged between 5 and 15 years are in their most productive and responsive period of movement learning. This is known as the ‘skill-hungry’ period and is the ideal time to further challenge the ever-growing muscular-skeletal system. Many of the limitations seen in the teenage and senior years are traced back to this important period of a child’s development. It is during this period that the child will encounter the start of his growth spurt and so it is important to begin the process of movement learning and progression as soon as possible. All future sports-specific actions e.g. running, jumping, throwing, kicking, catching and striking begin their journey here. If there is any intention of trying to achieve sporting excellence in later years, this is the period within which to start the process towards movement efficiency. · Improve the movement literacy of all our students. 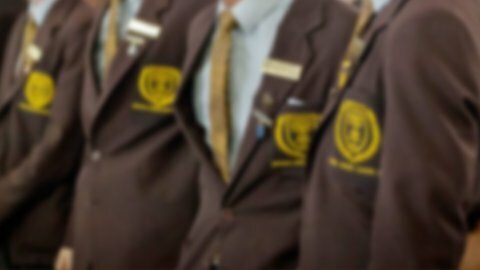 · Provide a safe and motivating environment for the Padua College students to train and develop. · To develop in students the desire to continually improve through practice, training and the development of a strong work ethic. 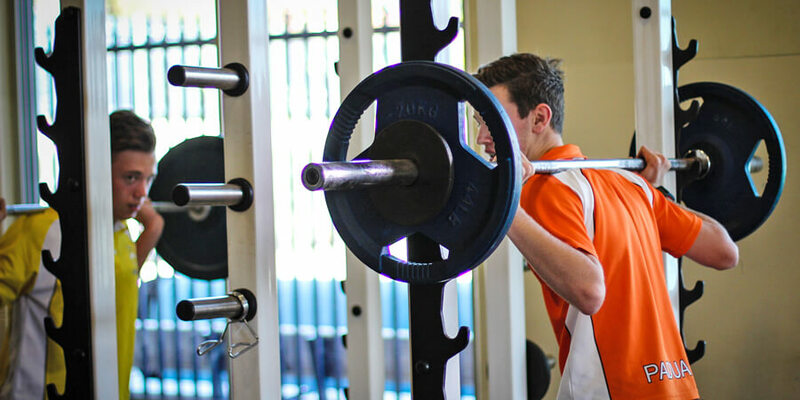 · Produce and implement strength and conditioning programs for students competing in AIC sporting competitions. · Use best practice to properly prepare students for a variety of sports. · Develop a student’s athletic ability to his potential. · Identify students who show potential to succeed at specific sports or events. · To provide students with the opportunity to participate in physical activities they might never have been exposed to. From Year 5, students have access to the Padua gym facility where they work their way through progressively more complex and / or loaded movements. This allows us to safely advance and monitor the students throughout their time at the College.